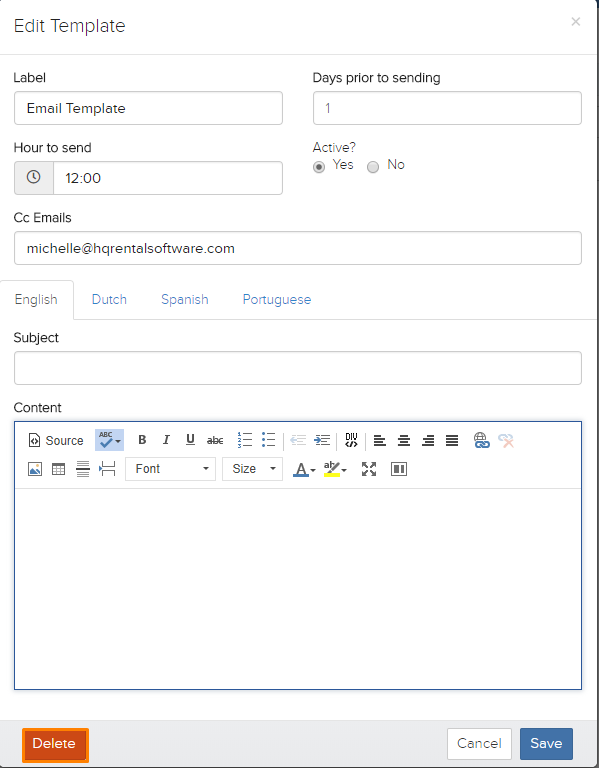 This Email Templates page is where you can create templates for certain types of emails that the system can send on your behalf. These include reservation attempt, quotes, reservation (internals), and reservation (customers). You can use this system to send follow up emails for example for your customers. There are certain types of emails that the system has which you can learn more about here under the email section. 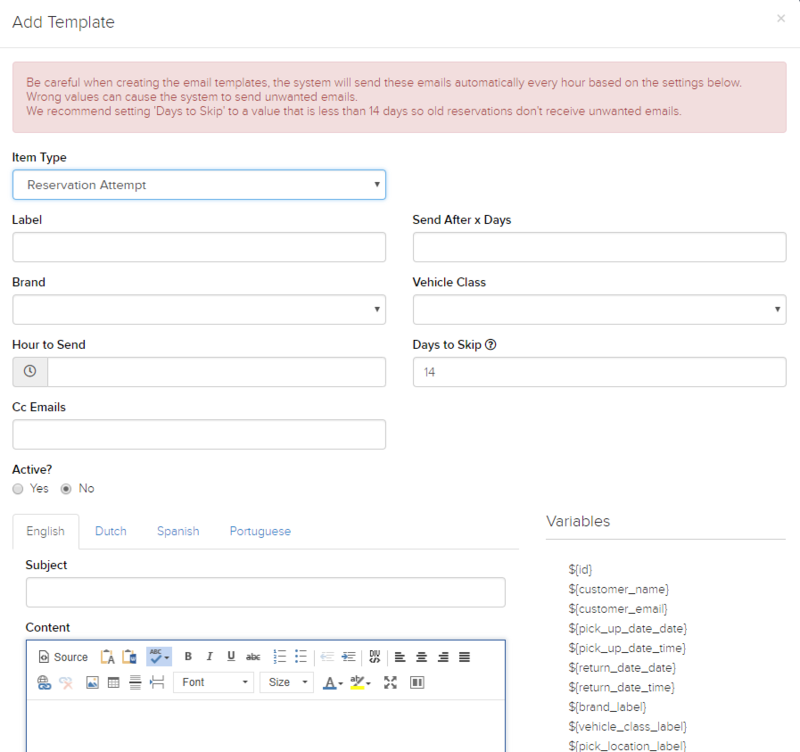 Note, the system will send the templates that you create here every hour unless you set the settings properly! Firstly, click on the blue “New Template” button located on the top right of the page, highlighted in orange in the picture below. Once you click on the button, a new window will appear. Here fill in all the necessary details of the new template that you are creating. Firstly, select the type of email this is about. Note, hover over the question mark next to “Days to Skip” to learn more. Lastly, click on the blue “Save” button, highlighted in orange in the picture below to save the template once you are done. You can use the variables on the right side of the window to be added to your email. These variables will draw the data from the particular reservation itself. Firstly, click on the particular template that you would like to delete. Next, click the red “Delete” button on the bottom left of the window, highlighted in orange in the picture below.